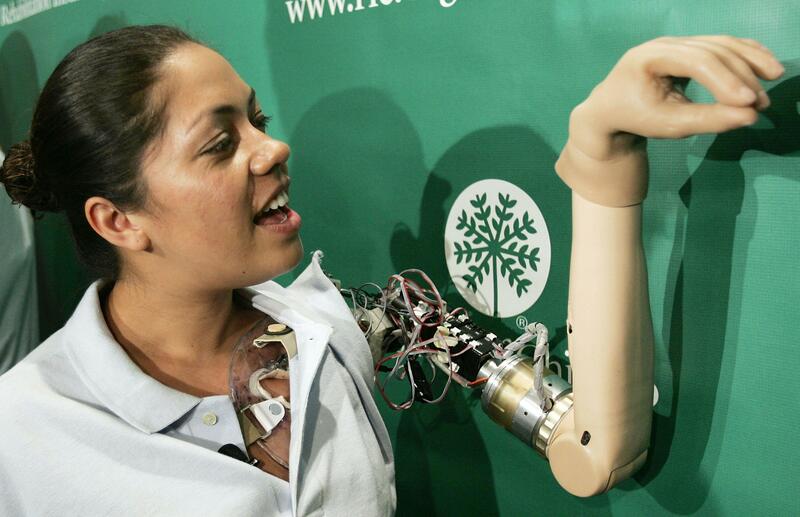 Cyborgs will change the fabric of society and our relationship to technology. Though the word cyborg conjures up images of exoskeletons and computers welded to bodies, the reality is far more mundane: Anyone who has a cochlear implant, for one, could be termed a cyborg. So is the resourceful fellow who made his prosthetic finger into a USB drive. In the coming decades, we’ll see more of these subtle marriages of technology and body, creating new ethical questions. Being a cyborg is risky business; we must depend on the expertise of others to ensure that our equipment is fit for use. This radical dependency on expert systems—and the societies that create them—make cyborgs fundamentally social beings. In fact, it is through dependency on technology, and the subsequent loss of self-sufficiency, that we express our commitment to society. Technology has always been part and parcel to the division of labor. Think bows and shovels. In this sense, being a cyborg requires not only trust in technology producers, but trust in other technology users. There is no such thing as a lone cyborg. The birth of cyborg marks the death of the atomistic individual (if such a thing every existed).